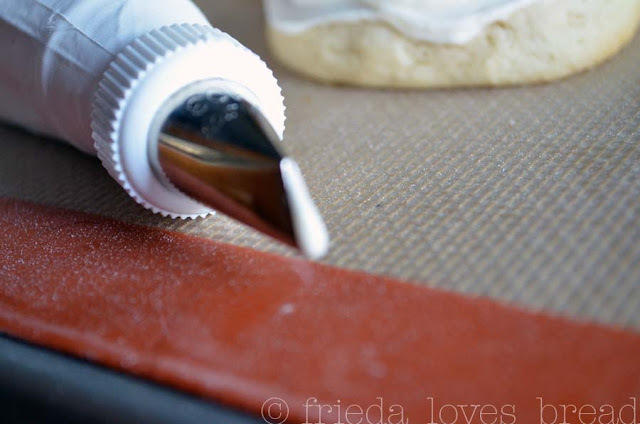 Frieda Loves Bread: Yummy Mummy Sugar Cookies! 5 Yummy Mummy Sugar Cookies! These sugar cookies were gobbled up quickly by kids and adults alike at our church party last night. What was even more exciting was a neighbor of mine wants me to bake up a batch of these for her family party tonight! What is so great about these cookies (other than they are darling) is that they are easy to make. All you need is a cookie scoop and a drinking glass. 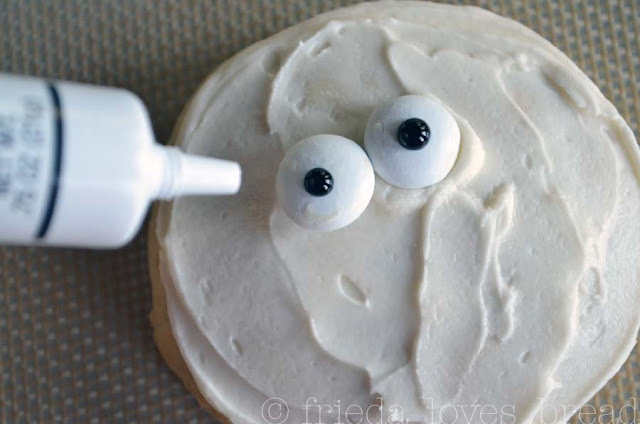 You can get the easy peasy recipe and directions for the cookie and frosting here. Oh, and it doesn't take a talented artist or hours to decorate these, either. 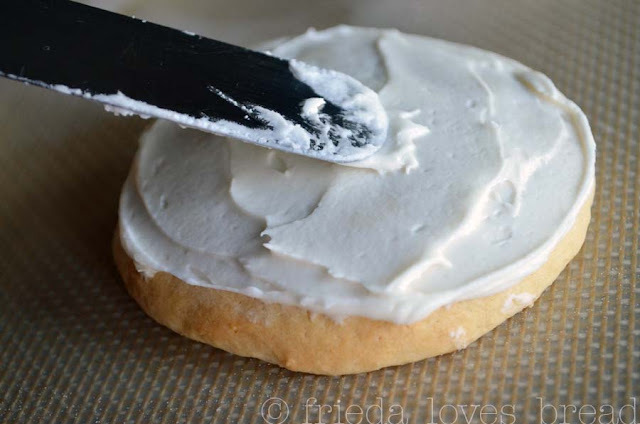 First, spread a thin layer of Butter Frosting on a cooled cookie. I looked EVERYWHERE for royal icing eyes and couldn't find any. 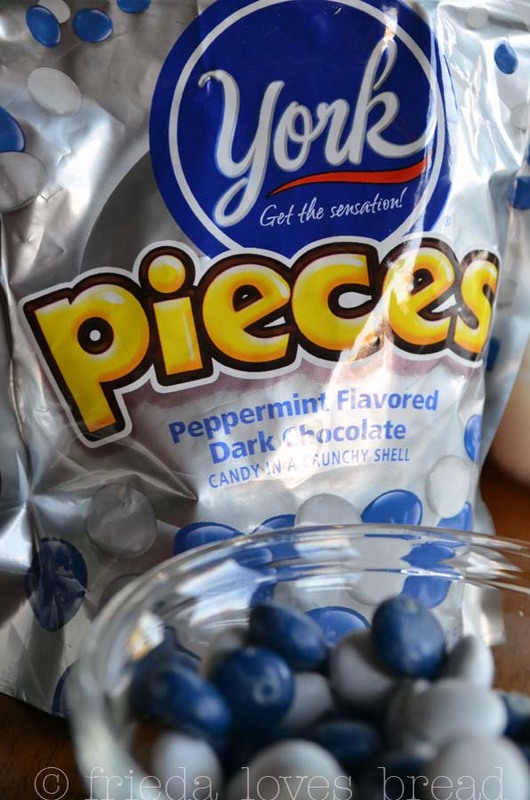 I did find these candies and decided that they would taste way better! 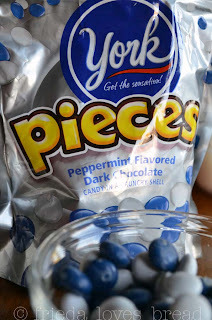 Put two of the white York Peppermint Patty pieces and dot them each with a dot of Wilton black decorating gel. A small .75 oz tube is under $2. Then fill a decorating bag with a # 103 tip. I believe this is a rose petal tip? Start with a "stripe" over the eyes, then under the eyes. Then fill in as much or as little as you want. 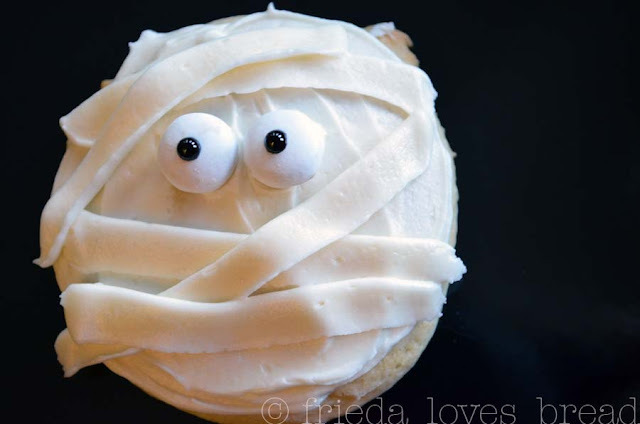 OH!, These are the cutest cookies I´ve seen for Halloween. These are darling. I love sugar cookies but hate devoting an entire afternoon to them. The drop cookie makes these do-able. Thanks for the recipe. Adorable cookies! I can see why they were such a hit. They're so cute and festive! 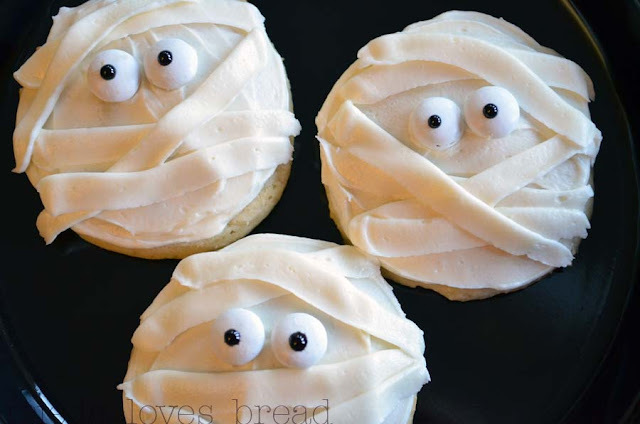 Oh, I saw these in King Arthur's Baking Banter and they look so cute. You did an excellent job as well. They are perfect!